Time for another update on what goes on behind the scenes so to speak! We’ve also recently had our annual meeting! Development wise, this isn’t really affecting anything (except that we need to actually have the meeting), but it’s a good opportunity to make sure everything’s working as it should business wise. It’s sometimes easy to forget that being an indie developer is not just a matter of doing art or programming day in and day out: sometimes we have to take care of the boring stuff as well (such as financial statements and other joyous things). Since keeping track of our finances and making sure everything we do is properly reported to the Swedish government is something that very much affects development (in that it eats a lot of time), we’ve made the decision to get rid of as much of that as possible. In other words: hire someone to do it for us. 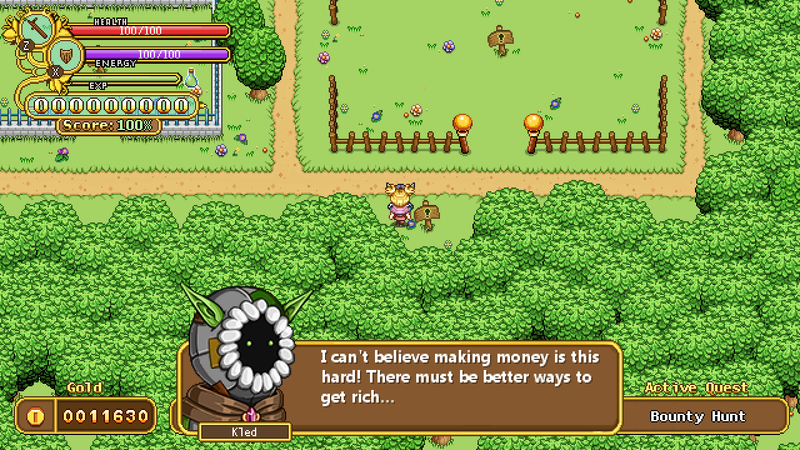 The three of us have always taken pride in doing as much as possible by ourselves, but we feel that this bookkeeping aspect has little to do with actually making the game, and paying someone to do it for us will unlock more development time for Teddy, who has done those things so far. And in other streamlining news, we’ve made it a lot easier to test new maps. Previously, whenever I made a sketch of a new area, Teddy had to manually load the background into the game and update the build (which can take a while). Then what often happened as we ran around the map with our characters, is that I’d find really dumb flaws that are quite obvious once you see the sketch in a more realistic setting with the full interface and all that. 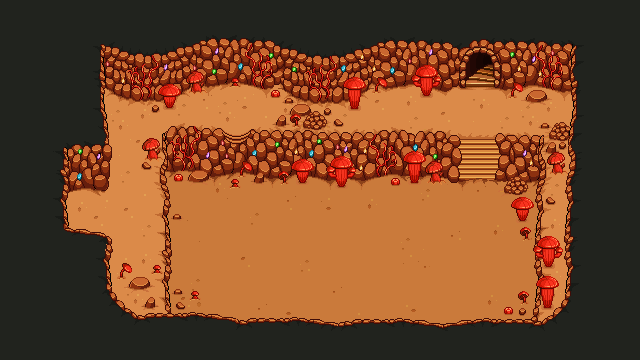 Now, time to continue with the cave system! Here’s the final cave, the one I never decorated last week when I did the others. 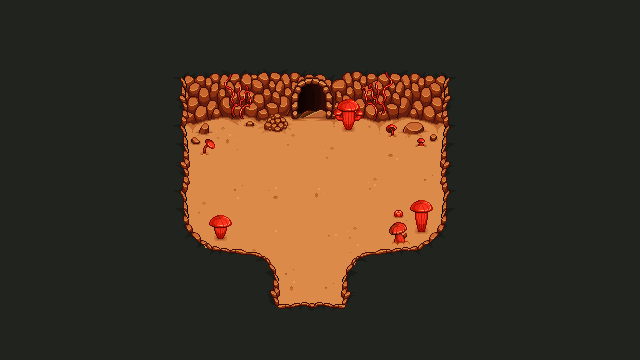 You see, this is a very special cave, where there will be a boss fight of some sort… But I will say no more! Now, finally, it’s time to move on to some interiors. The first building we’ll do is the little farmer’s hut in one of the desert maps. The first house in any new area is very important, as it will set the tone and style for the interior in the surrounding buildings as well. As such, I’ll be making a ton of new items for this house alone, and have decided to split up the work in a couple of videos! 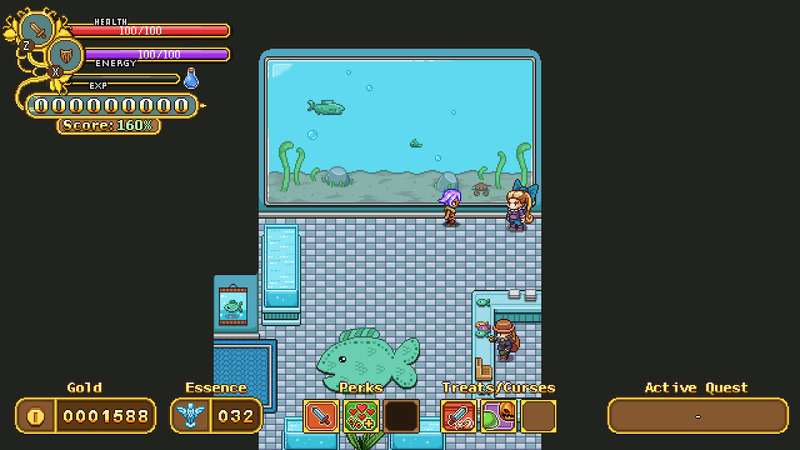 In the second part it’s time to add wall decors, a chest, another flower in a jar, the bed in another direction, a shelf – and some poor plants failing to grow that will likely only be seen in this house – they are having some troubles with their crops in this harsh desert! Hey guys! It’s a new week and new adventures. First, though, let’s take a look at some of those last minute fixes for Arcadia. Some of you might have noticed some very wonky backgrounds for some of the Mt Bloom challenges! 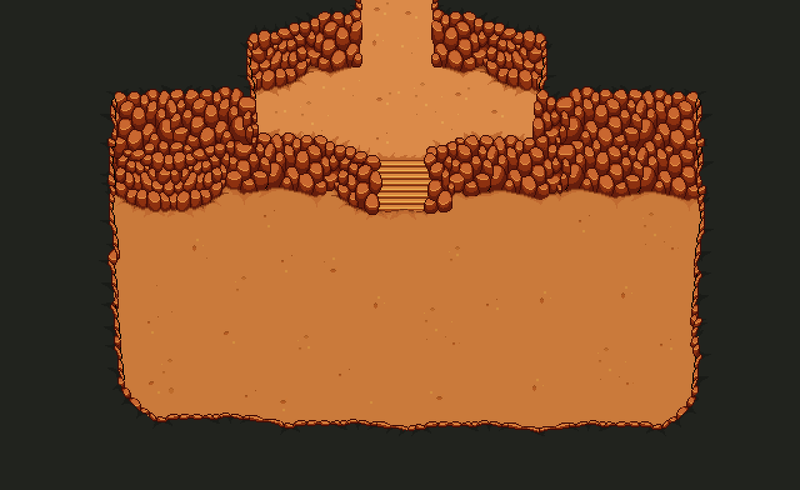 This is due to a miscommunication between me and Teddy: he had made a couple of backgrounds by copying and pasting random pieces of old backgrounds into something that fit with the phase challenges he designed. However, he forgot to tell me about these and so when the patch initially launched, it launched with the WIP bakgrounds – oops! While this has been fixed, though it hasn’t been updated in the game yet. For now, enjoy the rather wonky WIP versions, haha! Another thing that will be added soon-ish are the achievements for the two new floors. As always, there will be one achievement for reaching the floors, respectively, as well as one for clearing all the available challenges and for getting S-rank on both floors of the same theme. 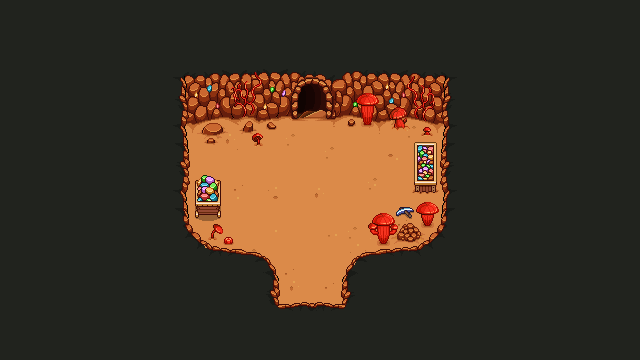 The room above will be used twice for two different caves, and you’ll be able to tell them apart by the decorations. And finally, let’s end the week with one more portrait. 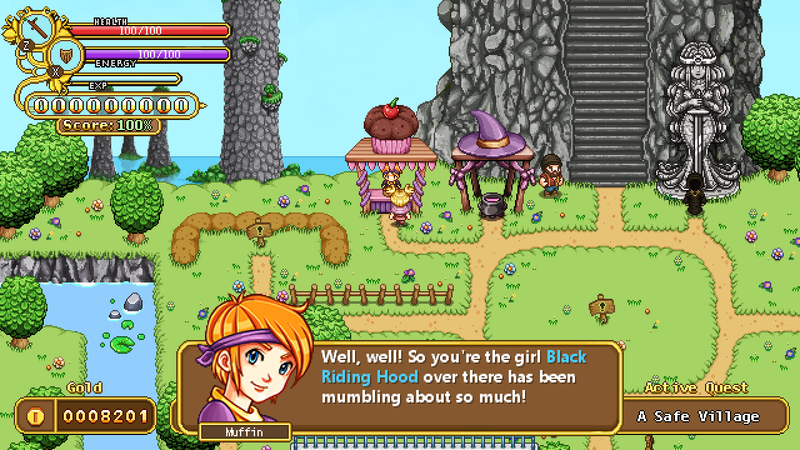 This is a very important NPC, based on our composer: Andrew Riley of Lucky Lion Studios! 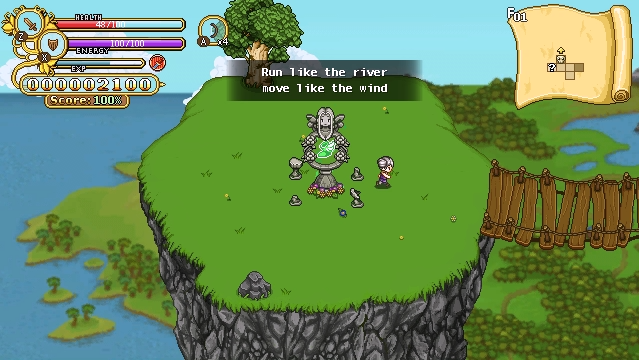 His NPC will, naturally, be a musician, who among other things will appear in Arcadia to help you change the town music. In story mode, he’ll be hanging out in the desert town, playing music to anyone who passes by. Maybe he’ll make an appearance somewhere else as well? Who can tell! Weekly Recap #319: Arcadia Rework Patch Live (Frontline)! Hey guys! In case you missed our updates, Arcadia is live on frontline!!! Wohoo! If you wanna help us test the new and improved Arcade Mode, please go ahead by swapping into the frontline beta: more on that here. Just remember there are still some things missing, such as sound effects, and that the mode can be a little bug prone in these early stages. 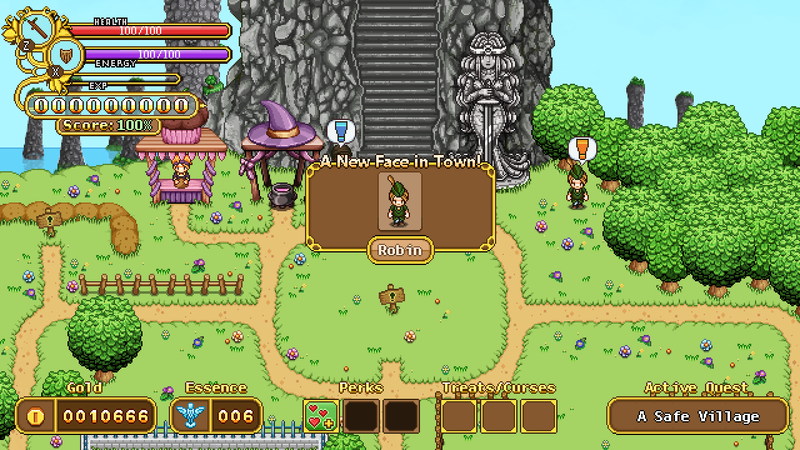 However, the new features are all up and running and you’ll be able to build your town step by step, in whatever order you prefer. Teddy will continue to update with bug fixing patches the next few days, if you find any bugs please go ahead and report them in our bug reports forum. Alright! Time to start working on those interiors and cave systems. We’ll begin with one of the most exciting places found in the middle of the desert: the Saloon! 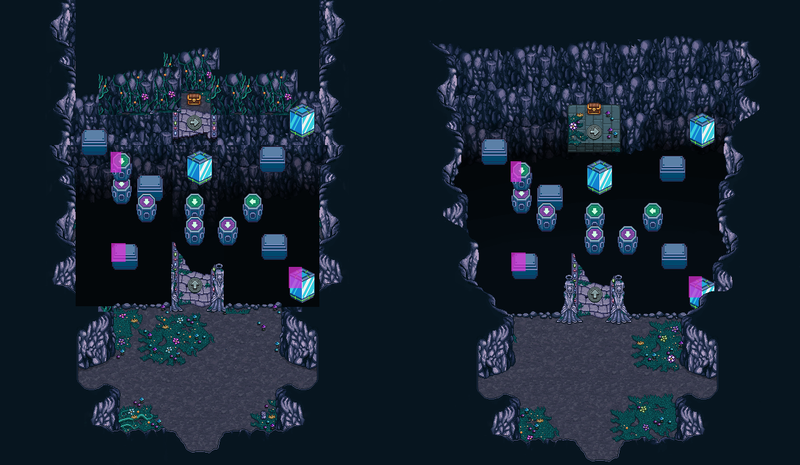 As mentioned before, this place will be home to a number of shady people: cavelings, fae and humans from all over Grindea! Including a few old friends, such as the Black Ferrets… There will be piano playing, dancing and drinking. Maybe even a quest or two, oh my! 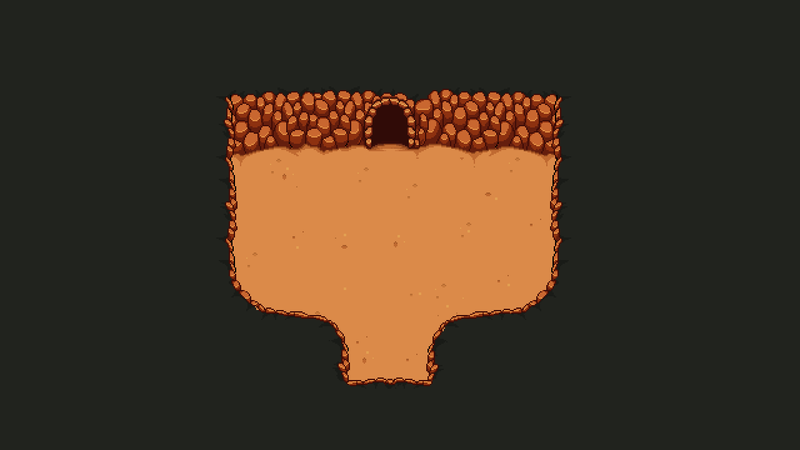 And now, time to move on to those cave systems! 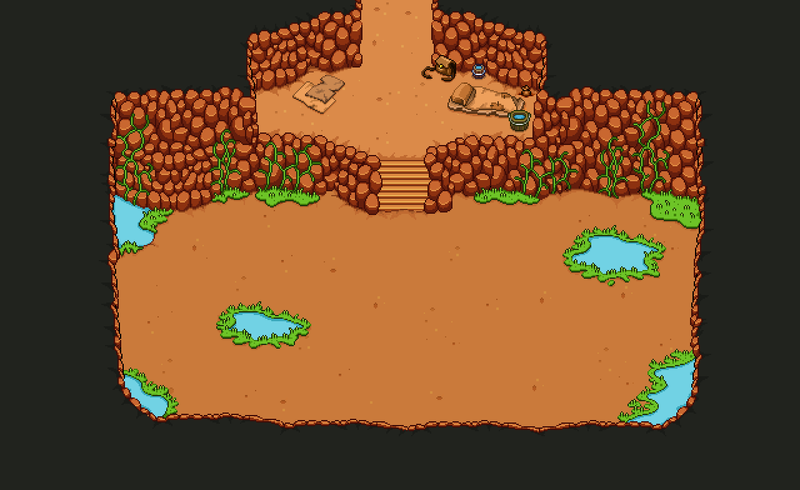 To begin with, there’s the matter of converting the walls of the desert area to something that fits better with the interiors of a cave, and make a floor to go with it. 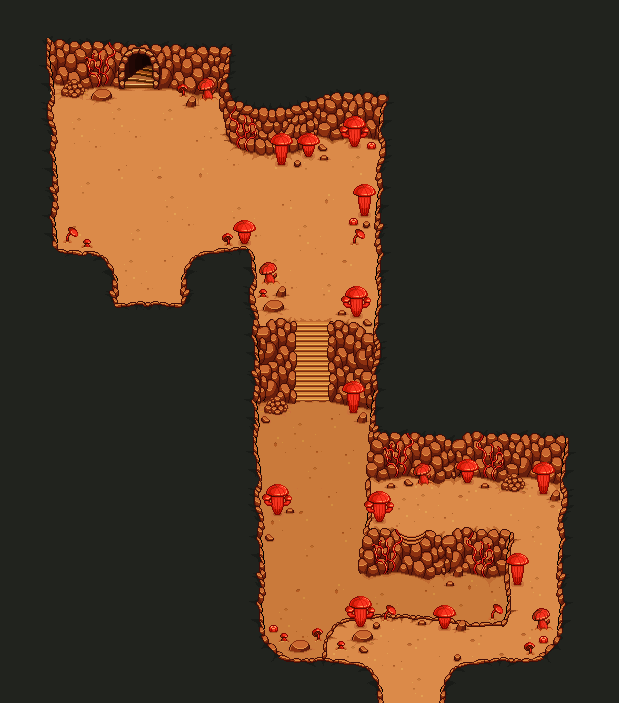 Then, since this particular map is a little special, it will house a number of mushroom-like cacti. 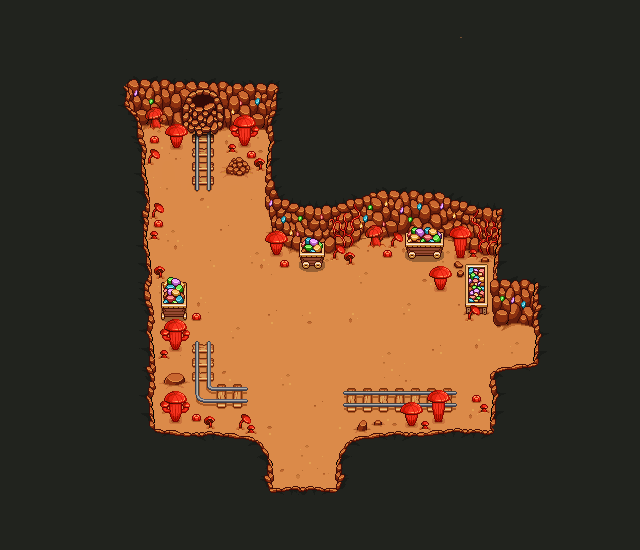 And some random decorations in the shape of mining carts and rails. 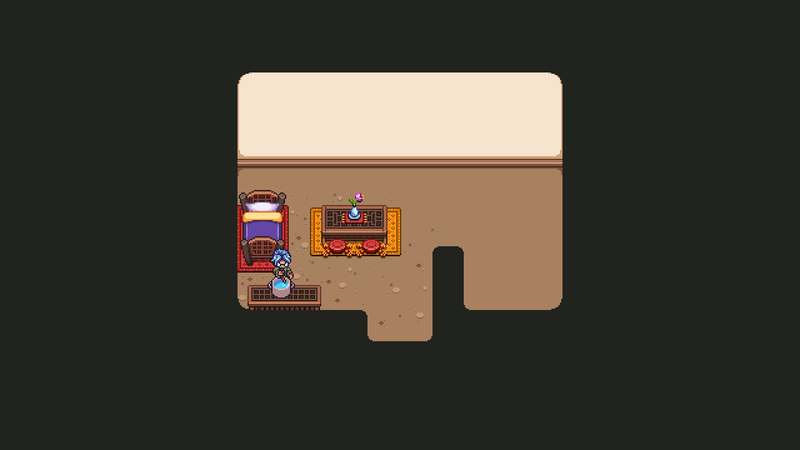 I’ll probably return to this map later and add a bit more detail, but as usual, I try to make a basic version of each room first before adding more personality as we move on. So lots of more portraits for me to make! Exciting times. Finally, to end this week, this cute little animation of the carpenter. It will appear in Arcadia, but I didn’t post it before and it’s just too cute to skip even though it should be available in the game already. Enjoy! The green shoe represents haste, which gives your character increased movement speed. The sword increases damage, shield the hp of your shield. The heart gives you a slight heal whenever you complete a room in time for an S-rank, the blue blast is for a buff that decreases player knockback, the green clock is a cast and attack-speed buff and the purple bubbles is for an EP-buff! The blessing rooms have gotten their animation as well, featuring the chest opening and revealing the content of your blessing. The first is a curse that makes everything slightly harder. 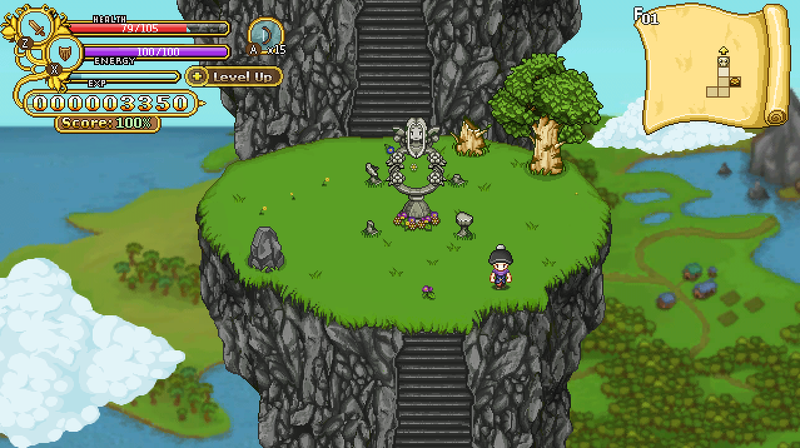 More difficult patterns, the enemies have slightly higher HP and so on. We had a treat version of this where everything is slightly easier as well, but we felt it was a kind of lame treat so we actually threw it away for now. The second is the icon for the curse that causes blinding mushrooms to spawn in the Arcade rooms. 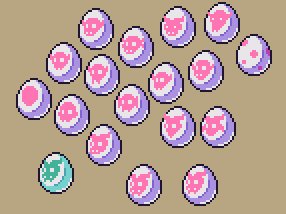 The third is a treat that makes Loods more likely to spawn, and the fourth is a treat that makes items cheaper in the Arcade Mode stores. Next up we have two new masks! These will be rewards for the Tai Ming and Mount Bloom floors respectively. To unlock these you will need to get S rank on both floors the corresponding mask belongs to. From the beginning we wanted you to keep everything from the beginning, but the gold income varies very greatly depending on how far you get, so we thought this might be a good solution to keep those getting very far from unlocking too much all at once! The life insurance can be gained after building the bank, and each new rank of life insurance is the reward for various quests or requests from the bank man. One of our new Arcadia quests need another Fae portrait, this one of a special kind – it’s a blind fae! To illustrate this, we put a blindfold on her. With the the buildings and their corresponding mechanics fully implemented into the new, revamped Arcadia, it’s now time for the final few things we want to add before it’s time to get to testing! We’ve always planned to add more randomized event rooms, and with the rework we feel it’s a good time to add in a few of them. A shrine that, upon approaching it, gives you a random buff for a limited time. The buffs we’ve got planned are the usual basic ones: increased attack (both magic and physical), increased cast & attack speed and increased EP regeneration. But we’ve also come up with a few less common: one that makes your shield much stronger, one that increases your movement speed, and one in which you won’t get knocked back. These last three will need to be tested to see whether they will actually be nice buffs to have in this setting, but we have our hopes up. A room with a Grindea statue that grants you permanent (as in they last until you end the run) blessings. These can be a level up, a gold skillpoint, a few talent orbs, gold, or a heal! A mysterious salesman who sells powerful items and skillpoints in exchange for a portion of your max HP. He’ll have three items on display each time this room appears, and depending on the item he’ll reduce your max HP by a certain number. …will start appearing as well! First as a prisoner which you’ll need to save from a mean mini-boss, but once he’s released he’ll start appearing in shop rooms, allowing you to upgrade your bow as you progress through the floors. 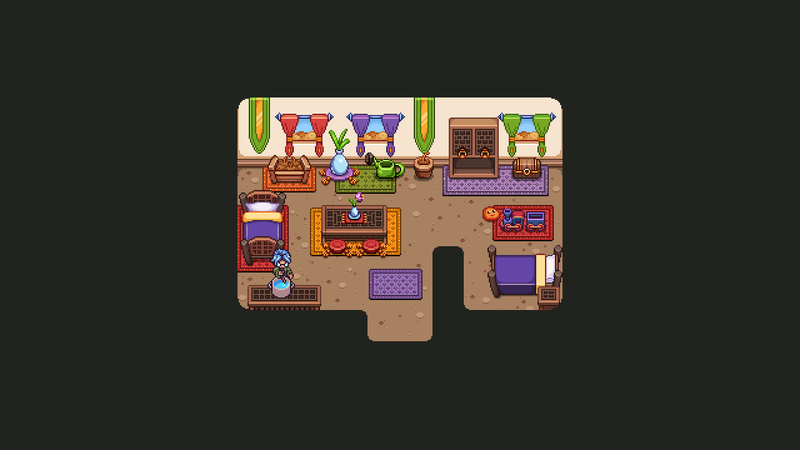 We have more rooms planned as well, but for now we’ll just include the ones mentioned above (we gotta get that update out after all – we’ve been at it quite a while!) Once they are implemented we’ll only need to do some slight inhouse testing before pushing it out to frontline though, so stay tuned! 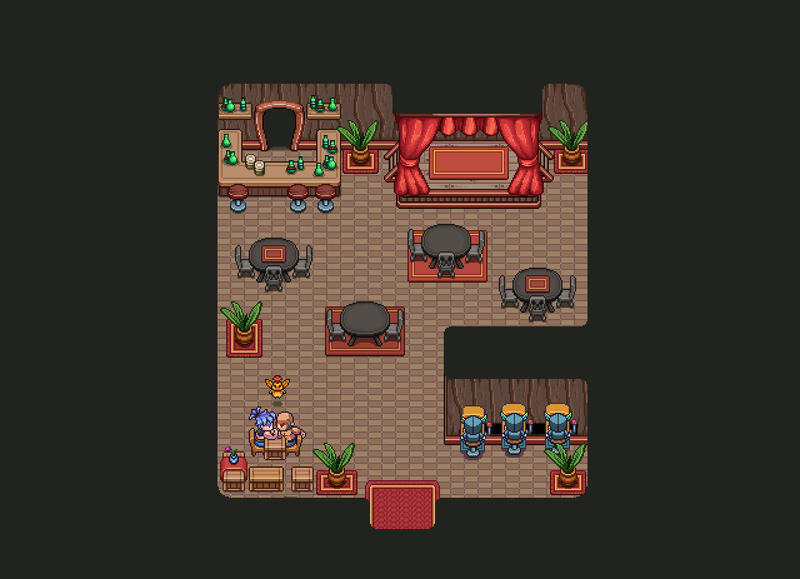 Now, with the new event rooms decided upon and fully designed, it’s time to get to making some new graphics. Or rather bringing in and adjusting some of our existing ones to fit the theme of these rooms. 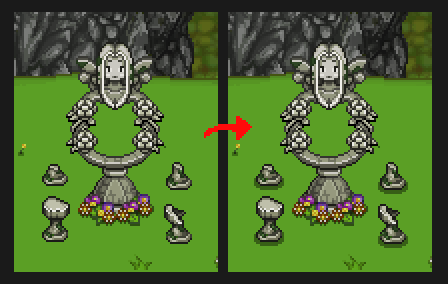 Finally, the buff shrines. Our idea here is that a buff icon will appear in the middle of the circle as you approach it. A strategy might be to avoid going close enough to activate the shrine until you find the boss room – but on the other hand, getting there without the buff might be hard enough! What will you do? With these implemented, the Arcadia rework is more or less done (aside from some smaller polish things). Now all that remains is some inhouse testing to make sure things aren’t too buggy for the frontline users. …and it’s a good thing we did! One of the first things we noticed was a hard to figure out bug that crashed the game every time we entered a specific type of event room. There’s also been a lot of other smaller but kind of obvious bugs that we’ve been able to clean out that definitely would impact the player experience. Other than that though, our testing sessions have gone really well. 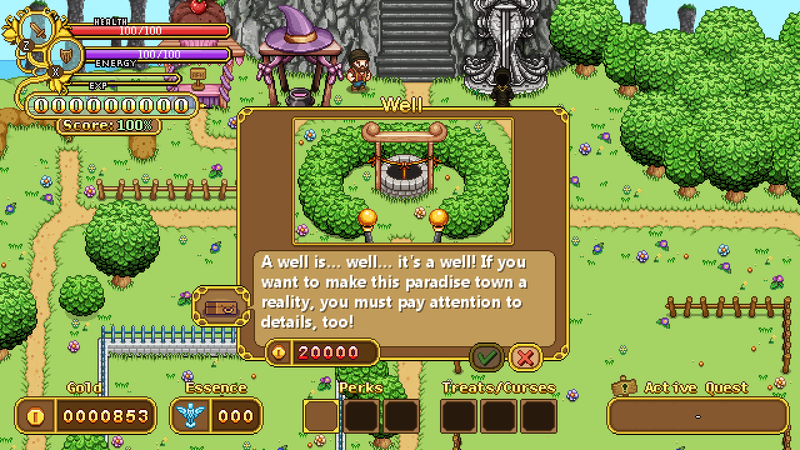 Most things work and the main new feature (the building your town thing) feels pretty satisfying, to us at least! The whole of Arcade Mode has gotten some upgrades pacing wise, with things unlocking as you progress, which feels a lot more satisfying. There’s still some bug hunting to do, and some smaller things to fix, but you should be able to expect the update around the 10-12th April, if things go as planned. After several hours played we’ve far from unlocked everything, which is great. 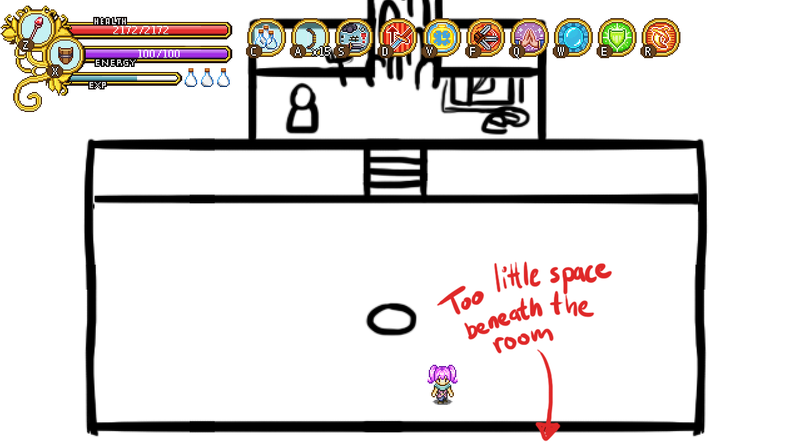 While I only get to the second floor of Evergrind and Fred gets to the later floors of the whole thing, we’ve unlocked things in approximately the same amount of time, which is as we intended. The time it takes to get enough gold to unlock new buildings actually feels surprisingly well balanced in our opinion, but that might of course change once we upload everything to Frontline and hear more opinions! With this testing we’re getting closer to an actual estimate of when the Arcadia rework will go live on Frontline as well! If nothing unexpected happens, we aim to have it done around 10-12th April, basically somewhere early that week. There are still some small things we need to add or fix graphics wise, and we have a lot more systems to test as well, but this estimate includes the time we expect to spend on bug fixes. The Loods are mysterious creatures of unknown origins. Some say they are linked to the goddess Grindea in some way, but who can tell for sure? What we do know, though, is that there are several kinds of Loods in different colors, and that upon defeating a Lood, it will turn into treasure! What kind of treasure the Lood turns into depends on what kind of Lood it is. Currently there are four known kinds who give gold, items, talent orbs and health pots respectively. Defeating them in itself won’t be too hard, since they don’t attack – the challenge lies in defeating them before they get bored and run off! As such, once a Lood spawns you have a very limited time in which you may try to defeat it to get the treasure. Fail, and it will simply leave! 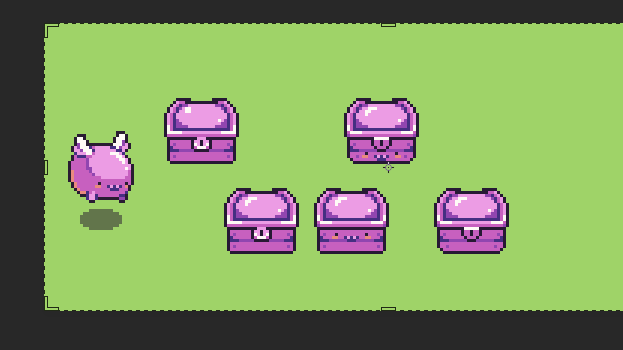 Once the Lood is defeated it will turn into an idle form, which, upon room completion turns into a chest. We hope that the Loods will make Arcade runs even more interesting, as it adds a little random factor to the regular rooms. 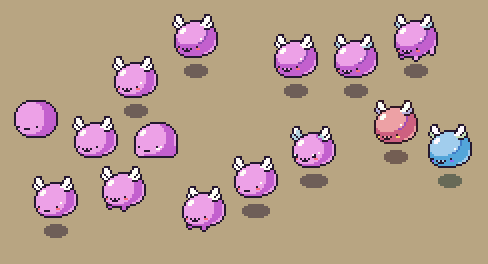 We have thoughts of including evil Loods that you need to defeat in order to be spared from something annoying as well, but we’ll see how things go with these friendly Loods first. Can’t wait to hear your feedback on all of this once the patch goes live!